landscape of Italy. 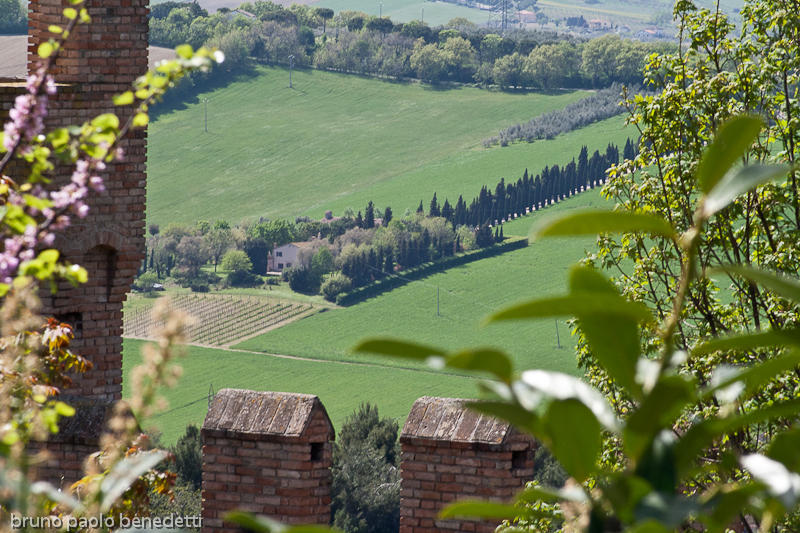 View from Gradara castle. Picture with wide depth of field. On foreground some trees and castle wall merlets. On background farm in green field with wines and rowo cypresses rows. On the left side out-of-focus branch of tree with lilac color flowers. Picture taken in spring.